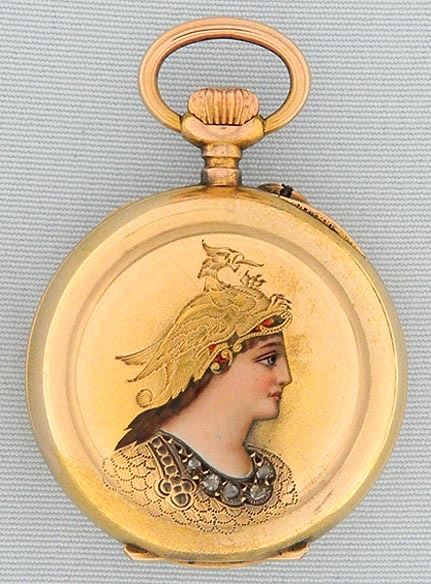 Lovely Swiss 14K gold, diamond and enamel ladies antique pendant watch with a rendering of Minerva circa 1895. 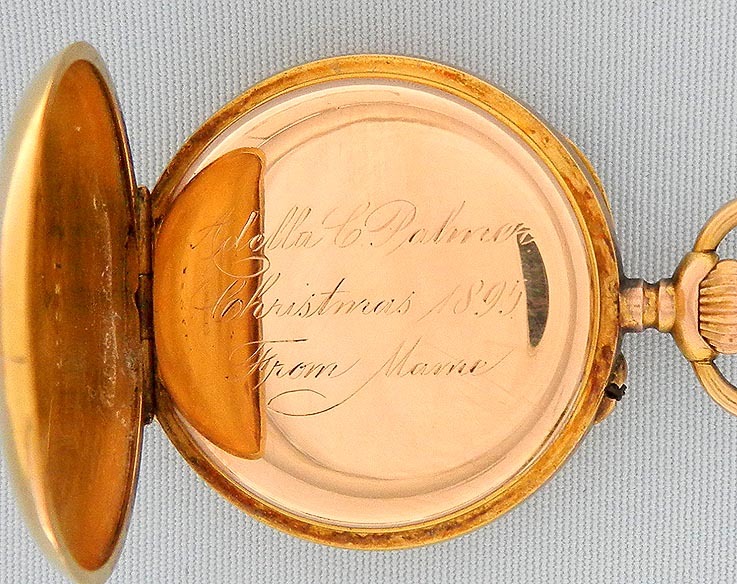 Wonderful engraved and enamel rendering enhanced with diamonds. 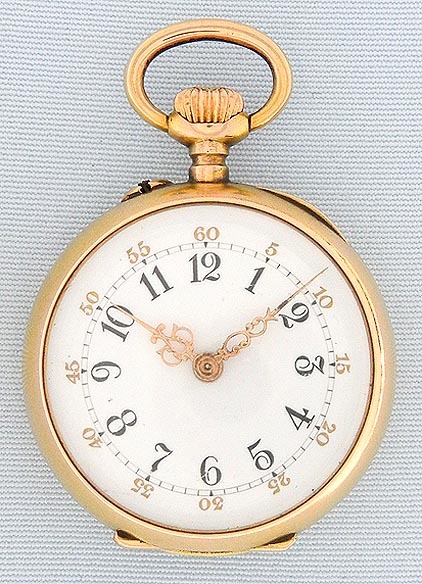 White enamel dial with gold and black numbers and fancy gold hands. 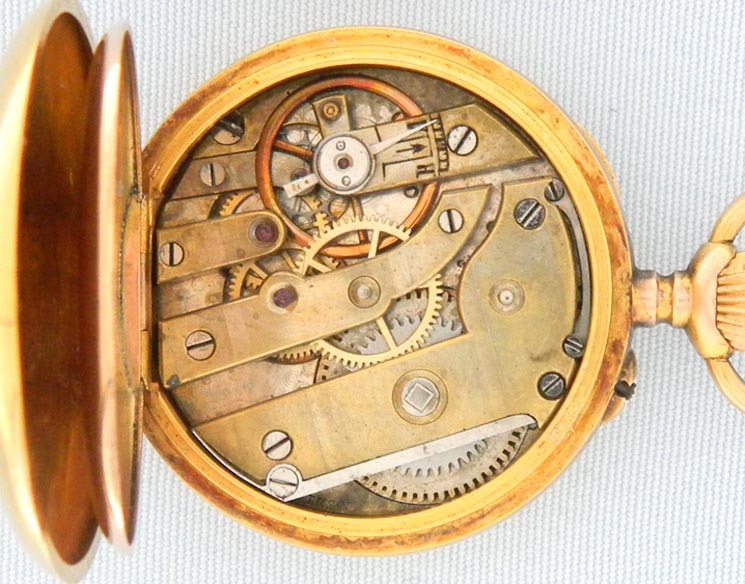 10 jewel cylinder movement. Particularly fine condition.